Since I was a last minute addition I didn't make it into the program or event booklet, but my workshop still had a beautiful group who all came word of mouth. I arrived with a small but mighty team of angels, Issia, Peter, Trinity and Xavier and we created an altar to welcome in Isis as our ascended master guide for the day. I shared some Euphoric Bliss Blue Lotus essence with our facilitation team before we began -- a few drops under the tongue and we were all ready to go! Here's the truth: creating more time is a sacred art. 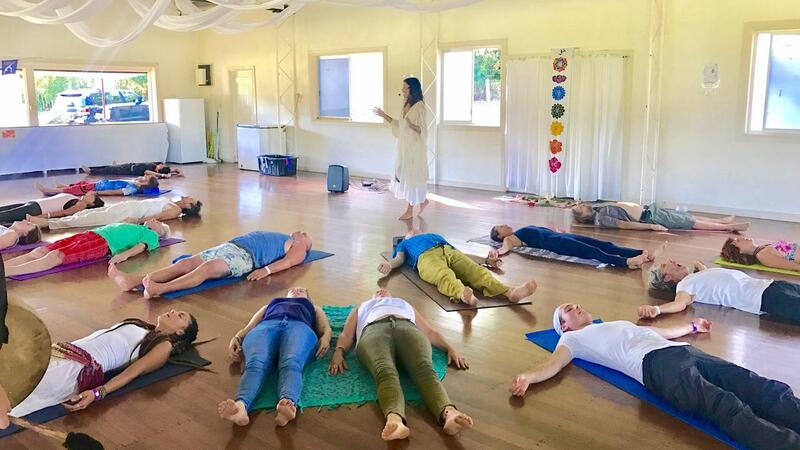 As a facilitator, you can modulate your own breath to expand consciousness and your perception of space and time. By generating a feeling of "empty space" where time is more elastic, you can then modulate your voice and movement to transmit this feeling of spaciousness to breathers. I believe this is one of the refined arts a facilitator can master. Bending time can allow breathers the boundlessness needed to come into attunement with their own hearts, memories, and emotions. Anything that has been suppressed or hidden during the accelerations that life can bring begin to unwind. A dimensional vacuum is created where a LOT of transformation can happen quickly. Helping these transformations happen with GRACE is another matter all together! While it can be easy to push breathers into catharsis to activate unresolved trauma, I feel it's a much more delicate artform to use one's breath, energy field, and vocal harmonics to gently invite a dissolution of anything that's not true. For breathers in this place of self awareness, true bliss can arise. Here is our group right after the heart sharing practice. So beautiful. 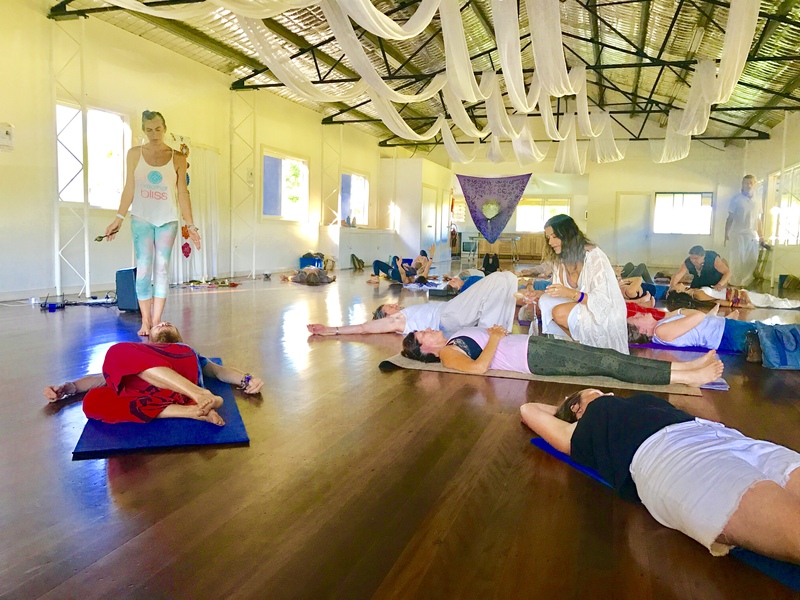 During the 40 minute breath journey, we explored a soulful quest back to original innocence, anchoring heavenly energies on Earth, clearing and cleaning lineage lines and inviting in divine guidance. You might be wondering, what the heck do those phrases even mean? "Original innocence" means that at a fundamental level, you are pure, holy, good and free. You can use breath to access childlike openness and curiosity to discover something new and to realize your soul's purpose on this Earth. You can't give away your innocence and no one can ever take it away. It is an aspect of your divine soverignty. By choosing to believe you are an angelic being, you get curious. You may start contemplating in new ways, such as, "Gee whiz, how can I bring heavenly energies here to the planet?" Considering yourself to be divine can inspire new and healthy choices in everyday life, more generosity, kindness, empathy and understanding. Choosing to embrace your divine nature can inspire you to be a force of good, to take deeper breaths, to regularly tune in with your heart and soul. It can help you set an intention to live on behalf of a larger purpose to benefit humanity. Part of the work of embracing your divine nature is becoming aware of the viral nature of the human collective's beliefs scarcity, lack, doubt, limitation, and not-enoughness. I often guide breathers to let the breath illuminate thier entanglement with the human diseases of fear, seriousness, control and more. Breathers let the breath work like plant medicine, opening their imaginations to fully grasp the conditions in which their mothers, fathers and all ancestors historically lived. As a breather, you can have radical realizations about your own identity by shedding light on the emotional and generic pre-dispositions you've inherited. You can use breath and imagination to bring light into your cells and overwrite static dense coagulations with divine potentials. Inviting in divine guidance is all about breathing to expand perception beyond the less than 1% of reality that is visible to the human eye. We use the connected breath to open visionary capacity to experience the infinite love, support and wisdom available to us in non-physical realms. Awakening to the vast interconnectedness of all life can bring powerful visions of Source, ascended masters, angels, guides and more. Again, this is where true bliss arises ... in the realization of oneness with everything. What a beautiful crew of breathers, so willing to dive deep! Here you can see Xavier, who was our archangel the event. He helped hold the energy field of the entire room while others provided one on one assistance. You can also see Peter who put down his drum to provide some one on one support for a breather, and angel Issia in the distance. I felt called to use a new rattle in this session which was made by a friend. It contained chunks of Howlite gemstone instead of seeds. Howlite is said to support spiritual alignment, stress release, move stuck emotions and anxiety. Honestly I was skeptical about it's effectiveness before going in, but the vibes in our gathering were so dreamy. I wonder if it contributed? Here I am gently using this rattle with a woman who was moving lots of energy. Since it was blazing hot and the last workshop of the whole day, the soundtrack was gentle. But tho people seemed inwards, many shared tearful stories of transformation afterwards. It always surprises me that how people "look" during a journey says nothing about the intensity of their experience. You don't need crazy movement, catharsis and emotional release for a life-changing awakening. The breath is medicine. You just need to let the breath take you where you need to go. As facilitators, we don't need to know where the breath is bringing them or why. We don't have to try to control how fast it is happening or to try make anything happen more or less. We simply bring prayerful presence and invite the breath to do it's magic. The breath always takes people exactly where they need to go. We closed with a beautiful sharing circle where I invited everyone to get close and share any wisdom bits from their medicine journey with the group. As usual, what was spoken by the group was quite powerful. This was such a powerful festival and what an honor to share! 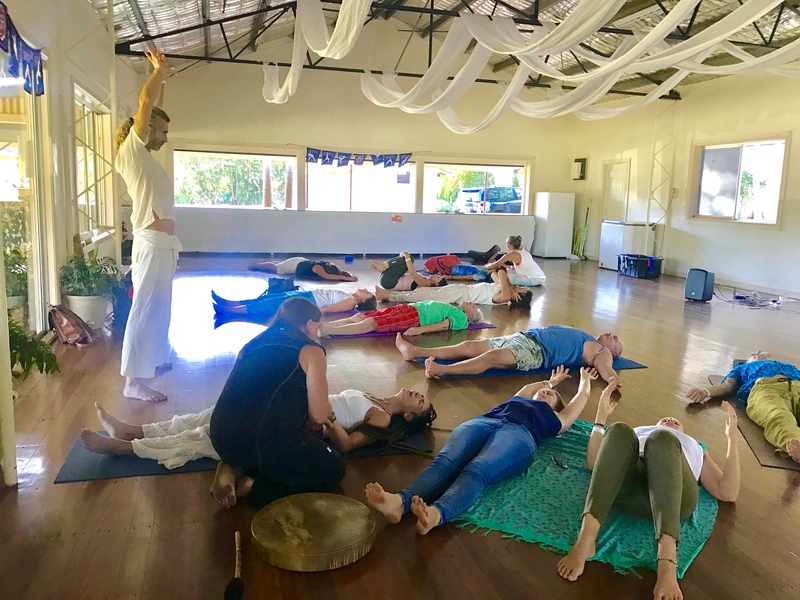 The solar eclipse and new moon in Capricorn amplified the energies of the whole weekend and I loved attending so many workshops myself, especially the Crystal Bowl Sound immersions by Chicchan and the Crystal Dreaming workshop by Raym. I hope to come back again next year. In closing I have to share that offering Breath of Bliss at transformational festivals is one of my greatest passions. When people gather for an event like Starlight, they're already spiritually open, curious and wanting to discover something new. Guiding Breath of Bliss in such an atmosphere of luminosity is a precious gift. Truly, facilitation feeds the soul. 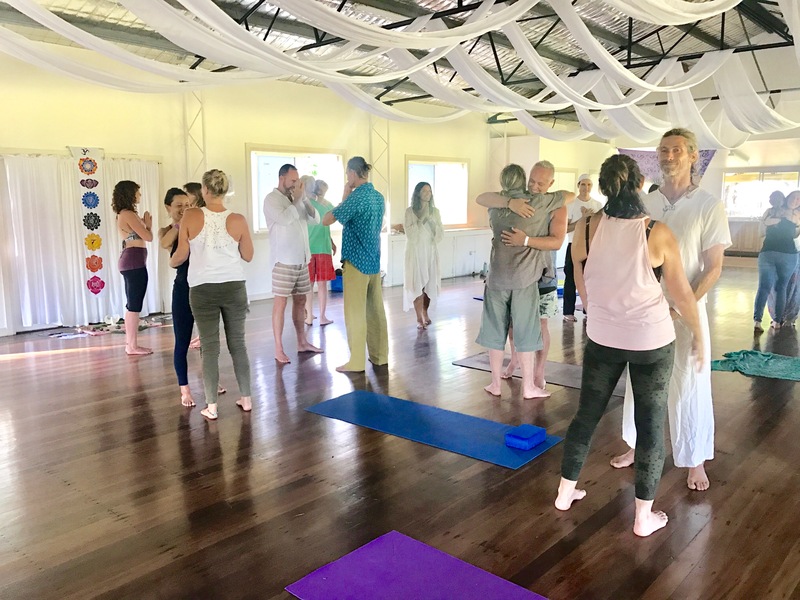 If you feel called to create space for this kind of expansion, do check out our September Breath of Bliss Facilitator training taking place on the crystal island of Koh Phangan, Thailand in September 2019. 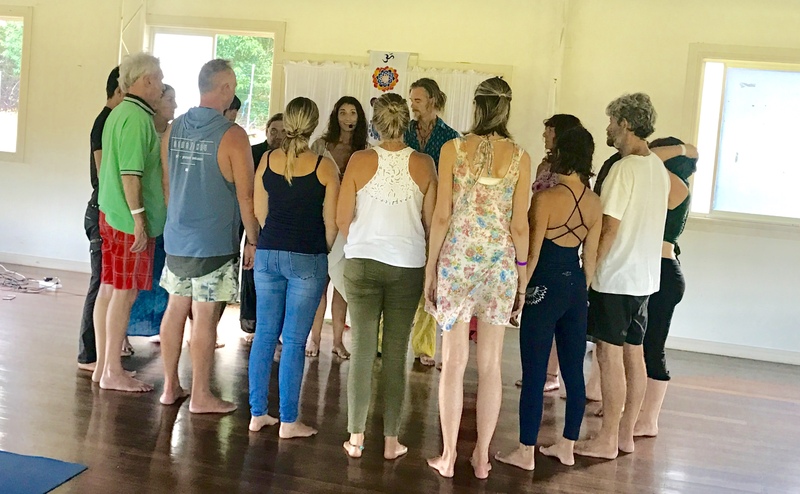 At it you will learn everything you need to know to begin holding your own Breath of Bliss ceremonies... we have a once a year $2000 discount in place for those signing up for Level 1 and 2 before February 1 and Level 2 only has 8 spots left. Bless!